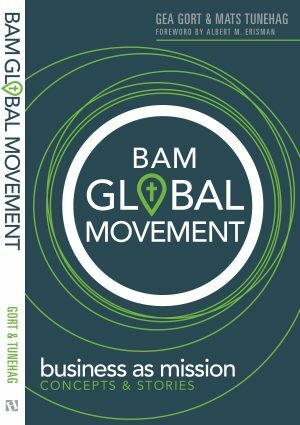 Business as Mission (BAM) is a growing global movement. Christians active in the arena of business, charity and church are on a journey to integrate business and holistic mission. But what exactly is BAM? In the book, Gea Gort and Mats Tunehag explain the BAM concept through theory and theology, with stories to show what it looks like in real life. The authors explain that Business as Mission is an expression of a much broader movement. Ideas regarding mission, church, and charity are shifting, and growing number of christians are aiming for a missional way of living out the whole incarnated gospel in their daily lives where they work and live. The inspiring stories of thirty practitioners active on all continents provide insight into how gospel shalom can be shared in innovative and practical ways in challenging settings: in developing nations, secularized Western cities, or even closed countries. 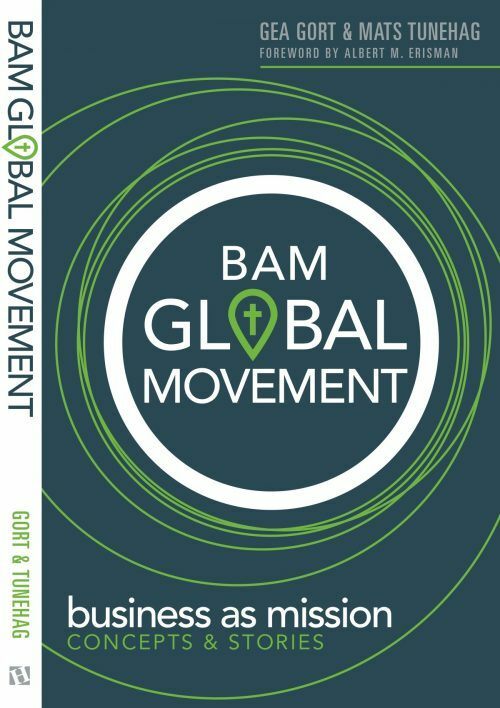 BAM Global Movement will not only capture your mind and heart as you learn about Business as Mission in theory and praxis, but it will also give you a broad overview of this remarkable movement. This book provides insight into this global movement and is of interest for a broad range of people: pioneers, early adapters and leaders within church, mission, and business, but also for Bible schools and universities. Thankfully, there are now many authors who have written on the theology of business and its importance in God’s kingdom. However, the variety of examples and stories in this book truly bring it to life in a way that is clear and compelling. It is time that God’s purpose for business becomes a global movement! – Bonnie P. Wurzbacher, (Former) SVP, The Coca-Cola Company and Chief Resource Development Officer, World Vision Int’l. Business as Mission has become an enormously powerful movement in the transformation of God’s world. This book is an excellent and varied collection of moving stories and biblical insights, showing how business conducted to the glory of God can revive and unite communities. I hope and pray that it will inspire many more innovative projects. —Don Stephens, Founder/President Mercy Ships, Lindale, Texas. Gort and Tunehag have gathered some of the best, experienced leaders to deal with such a topic in clarity, using inspiring and challenging stories. Sadly Business as Mission is not yet much on the agenda of Christians and churches. May this book reverse this and the Kingdom of God be advanced. I pray that many Christians will see themselves as missionaries in business, leading a new generation to impact the world. As a university-level teacher I welcome this new collection of essays on BAM. I happen to believe that the Great Commission of Matthew 28 is non-exclusive in the sense that all human institutions, including business and all people, including entrepreneurs, are called by God to make disciples. BAM offers unique opportunities for entrepreneurs to engage in the Great Commission while outworking their vocational calling. This book will inspire and equip. I will be using it as a reference for my students. It will nicely complement the small literature on BAM that emerged about a decade ago.